Once upon a time (sorry), Target books were the equivalent of repeats. You know this: you’ve seen the documentaries. Some of you lived it. In days where episodes were shown only once (and sometimes didn’t even get that far), repeated broadcasts were a rare treat and video cassettes were a luxury item available to a privileged few or a winning Bullseye contestant, the Target novelisations were the only way to revisit the stories you loved, or experience the stories you missed. Fast forward a few decades and we’re in a climate where absolutely everything is archived, and what purpose do Target novels serve in 2018 – unless it’s to encourage children to read? Well, the books allow us the luxury of reassessing the stories we’ve watched over and over in a different format, written by someone who knows the show and might have different insights. 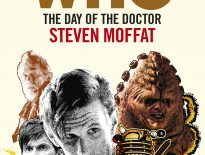 If nothing else they offer the chance to view events from the perspective of the person experiencing it, and in some cases they’ve expanded upon the original narration considerably – see, for example, Steven Moffat’s novelisation of The Day of the Doctor, which drafts in new scenes that fill in some of the gaps, as well as explaining some of the questions that fans desperately wanted answering about what was one of the most ambitious, audacious stunts in the show’s five-decade history. The Target version of Twice Upon A Time – written by Paul Cornell, no less – manages this, up to a point. For the most part, it’s a straightforward adaptation (with a couple of notable additions, which we’ll get to), which gets in, regenerates both Doctors, and gets out just before the TARDIS explodes. Opening – like the episode itself – in the frozen wastes of the Antarctic, it introduces the Doctor as a ‘man who was not a man’ and skates over the conclusion to The Tenth Planet like a penguin shuffling over the ice. Readers hoping for more of Ben and Polly, but written from a contemporary standpoint, are liable to be disappointed, but there are plenty of Past Doctor Adventures that feature them, and at least it gets the narrative moving – such as it is. Because the truth is that Twice Upon A Time is an episode in which nothing much happens. It was good, but nothing much happened. Instead, the mood was quiet and reflective, with one or two surprises. Good things happened to good people, and even the machinations of the supposed villains are entirely benevolent – or, to quote the Doctor himself, “It’s not an evil plan”. 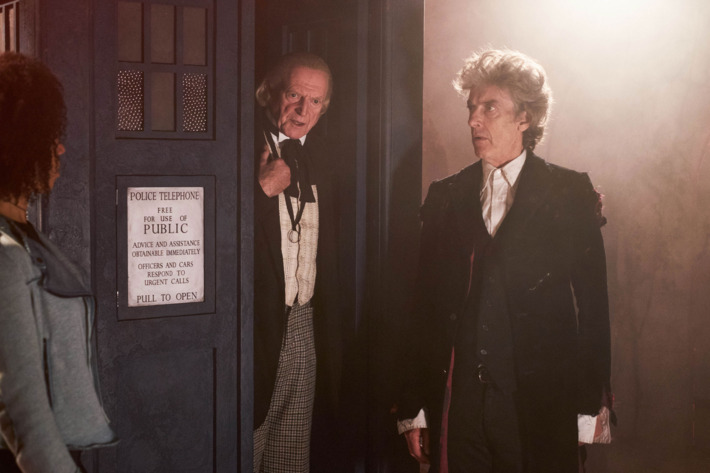 So we’re left with character, around which the episode is centred: the Twelfth Doctor’s swansong is about remembering who you were and wondering who you might become, and answers the age-old question of what happens when you grow old disgracefully. Multi-Doctor stories are notoriously difficult to actually produce in print, because you have two (or sometimes more) characters sharing a name. Terrance Dicks got round it by writing ‘Doctor Two’ and ‘Doctor Three’; Cornell deals with the problem by referring to Capaldi’s Doctor as ‘the Doctor’ and the newcomer as ‘the First Doctor’. It helps that he shifts perspectives frequently – with passages from the point of view of almost every main character in the story, peppered with appropriate inflections. (The Captain’s, in particular, are rather fun, although his reference to both Doctors as the Englishman and the Scotsman is frankly crying out for the inclusion of an Irishman; on the other hand he uses the words ‘deuced unorthodox’, for which Cornell arguably deserves some sort of literary award). Expansions from the episode are slim but significant: there are no additional scenes, but there is a wealth of new backstory, along with the occasional new line of dialogue. We get to find out what happened to Nardole, and also learn something of Bill’s fate after she left with the watery Heather, although owing to Bill’s presence as an Avatar this is a plot point that’s never quite resolved. 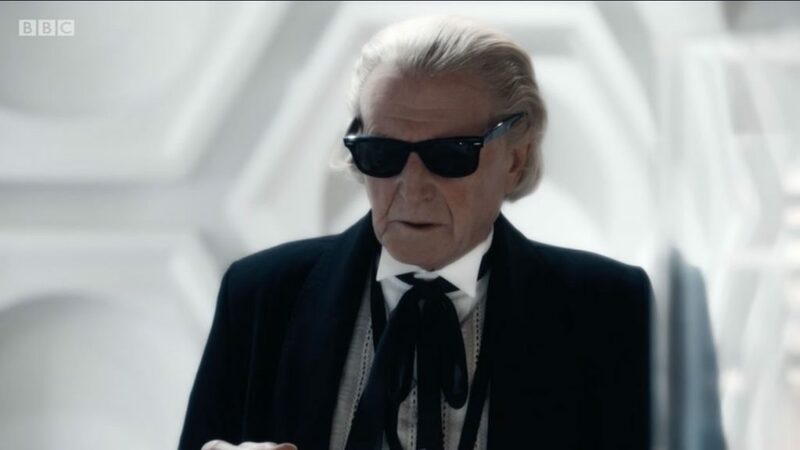 Instead, much time is spent describing motivation and interior monologue (thankfully without going down the James Joyce route) – hence it’s clear from the outset that the Twelfth Doctor is ready and willing to embrace death, and is diverting his regeneration energy until it gives up and leaves him to pop his clogs. Cornell pads out the narrative by peppering it with in-jokes – some subtle, others less so, although it’s amusing to note that the First Doctor didn’t merely climb the steps of the TARDIS, but ‘wheezed and groaned’ to the top. 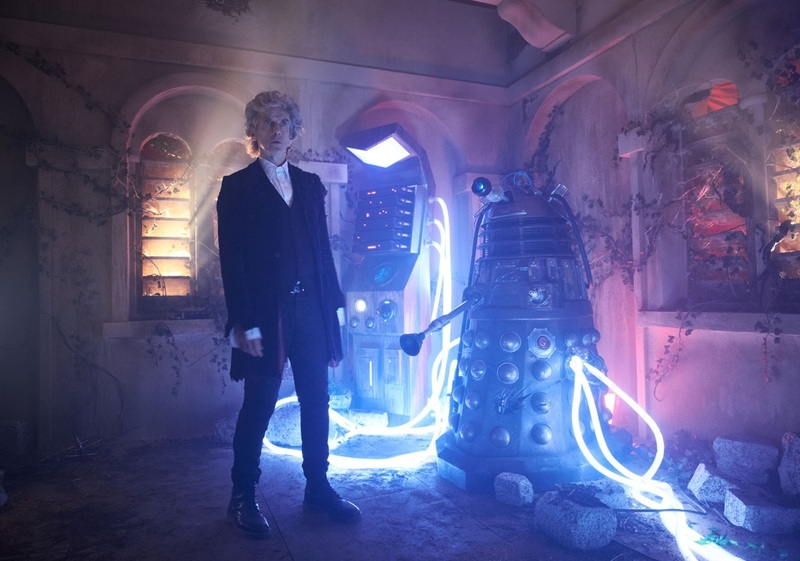 Said First Doctor famously described the current TARDIS interior as “a restaurant for the French”; here the Twelfth Doctor gets his own back, detailing “the plain white of factory settings, offset with the plinths on which his predecessor displayed his precious things, the overall effect being like the classical and modernist wings of an art gallery that had been involved in a terrible accident”. Not all of it works – or to be specific, it’s not necessarily adult-friendly. At the risk of sounding unavoidably patronising Target novels were always aimed at a younger audience, and some of the concessions that need to be made as a result wear thin very quickly. When Capaldi refers to Bradley’s Doctor as ‘Mary Berry’ on TV it’s quite funny; when Cornell expands on this in the prose by explaining who Mary Berry is and then dropping in a Pertwee reference (the third such conceit in almost as many chapters), it’s mind-numbingly tedious. Not that it doesn’t suit the intended tone perfectly – this is authentic Target, make no mistake, and would slot in quite well alongside the Marters and Dicks. But there are times you hanker for the Cornell who produced Human Nature, which is darker and contains almost subterranean depths of character and detail. At least the First Doctor’s uncharacteristic misogyny is brushed over comparatively quickly; this was one of the elements of the televised episode that stood out like a sore thumb, not least because of the press attention it was getting, and it’s a blessing that here it’s granted no more credence than it actually deserves. Or perhaps it’s just me. For such a serious subject (death! Suicide! The Great War!) this really is a very funny book, in places, and it’s not just Moffat’s script. 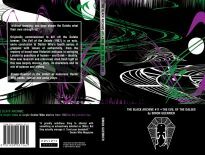 There are nods of recognition when the First Doctor refers to his successor as a ‘fop’ – oh, and pleasingly, the Doctor possesses a rogue’s gallery that he calls his “‘intelligent species who are just a bit different from us’ book, but which had ‘monster book’ on the cover”. Even the adult jokes don’t feel entirely out of place. It’s difficult not to snigger when Cornell describes the Doctor as having become ‘unusually intimate’ with Rusty the Dalek, particularly in light of the punch line that follows – although this is preceded by an homage to Blinovitch in which Capaldi’s Doctor ‘wasn’t sure he liked being touched by his other self’. But it’s at the end where the book excels, weaving the Christmas armistice into an elegiac, beautifully-rendered sequence, poignant and mournful but tinged with hope. It was decently presented when we saw it at Christmas, but something happens in the transition: it is difficult to read these moments without finding a lump in your throat, and it surpasses even the regeneration (which is also written very well, and with appropriate gravitas). Besides Shalka, Cornell’s most famous work for Who was a First World War novel and the episodes it eventually spawned: it’s tempting to think that while this was going on at least some of the young men he created in Human Nature were celebrating their own ceasefires elsewhere, and it makes him a fitting choice for this particular assignment. Go and buy it. 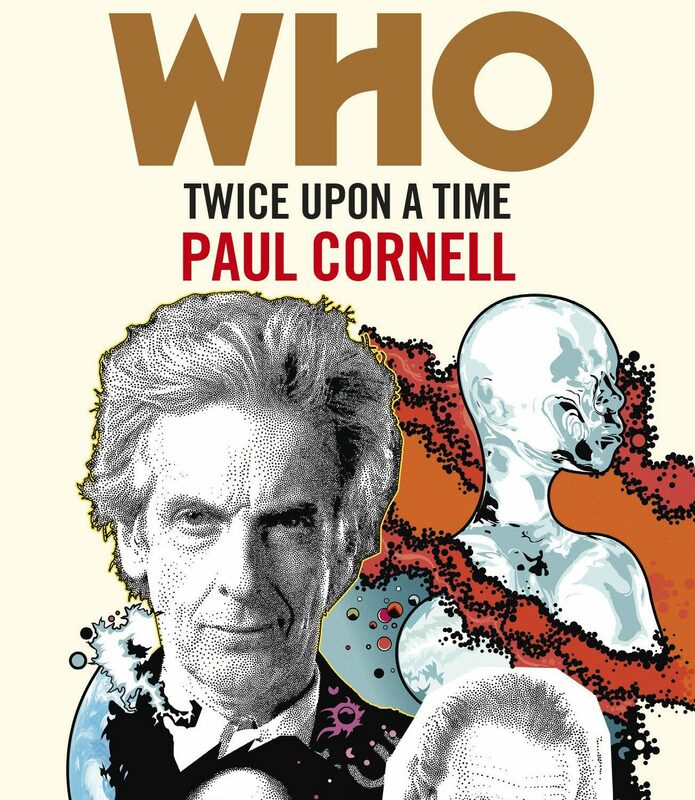 It’s fun, and surprisingly thought-provoking, and it can be finished in an afternoon, leaving the evening free to think about the Doctor, where he came from, and where she might be going next. You’ll understand, with greater magnitude than the televised episode (good as it was) is able to muster, exactly why the Doctor had decided he didn’t want to regenerate – something that always seemed a little off-base. You’ll get to see the Twelfth Doctor from the First Doctor’s eyes, and find it an eye-opening experience. Oh, and you will, at long last, get to find out what was on the Captain’s video cassette.